Need to migrate from WordPress.com to WordPress.org (AKA self-hosted WordPress)? Usually, this means you’re ready to take your blog or business to the next level! Going with a self-hosted solution opens up a whole new realm of customization options and possibilities for your website. 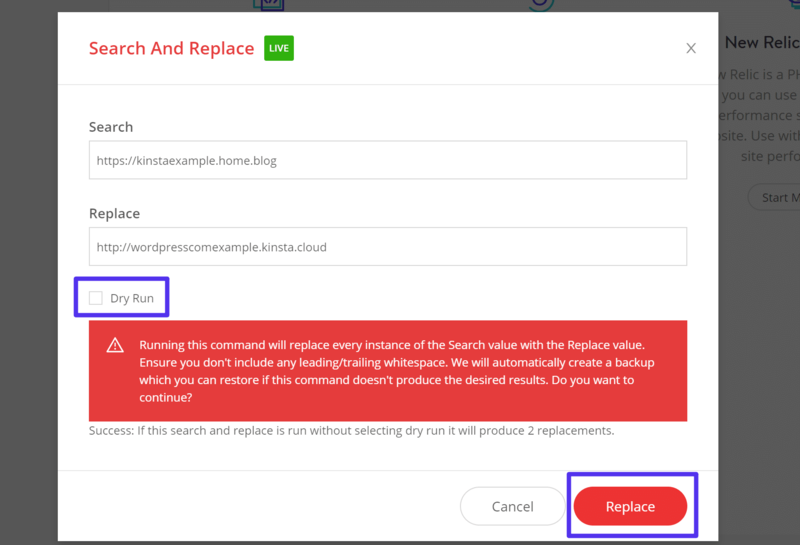 In this article, we’ll show you step-by-step how you can migrate your existing WordPress.com site to a self-hosted WordPress site at Kinsta. 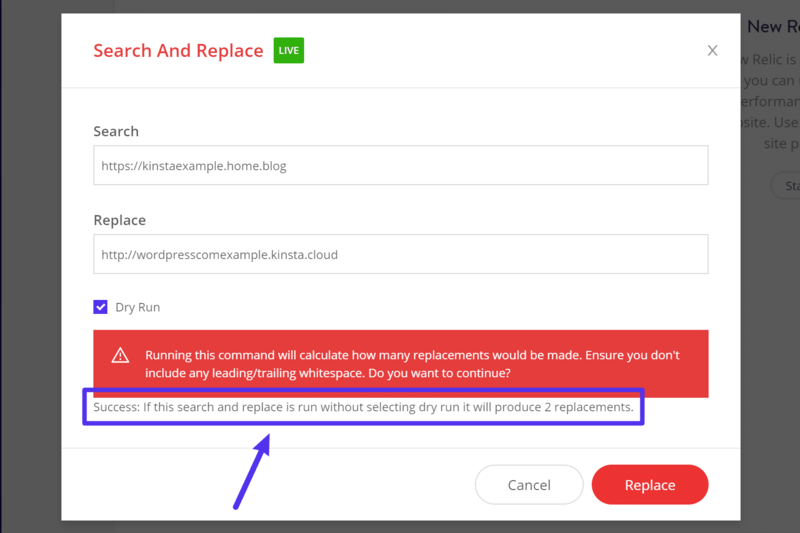 Kinsta does offer free migrations, but this doesn’t include migrations from other platforms such as WordPress.com. These are two very different solutions. Confused? Read more about the differences in our article on WordPress.com vs WordPress.org. 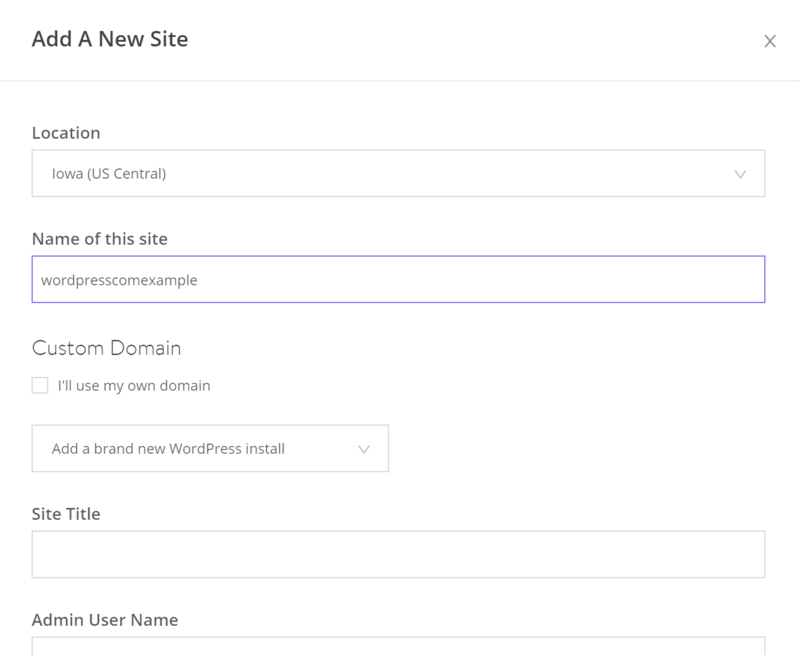 You’ll need to utilize the WordPress.org self-hosted solution to use Kinsta’s hosting. In order to follow this tutorial, we’ll assume that you’ve already signed up for hosting with Kinsta. If not, you can head here to learn more about Kinsta’s plans. Beyond hosting for your new WordPress.org site, you’ll also need a domain name. If you purchased a custom domain from WordPress.com (e.g. yoursite.com instead of yoursite.wordpress.com), you’ll also need to point that domain to Kinsta. Or, you can opt to transfer your domain to another registrar and then point it to Kinsta. If you don’t have a custom domain name yet, you’ll need to purchase one from a third-party service – we recommend a provider like Google Domains or Namecheap. Having trouble coming up with a good domain name? Check out a few tips on how to choose a domain name. 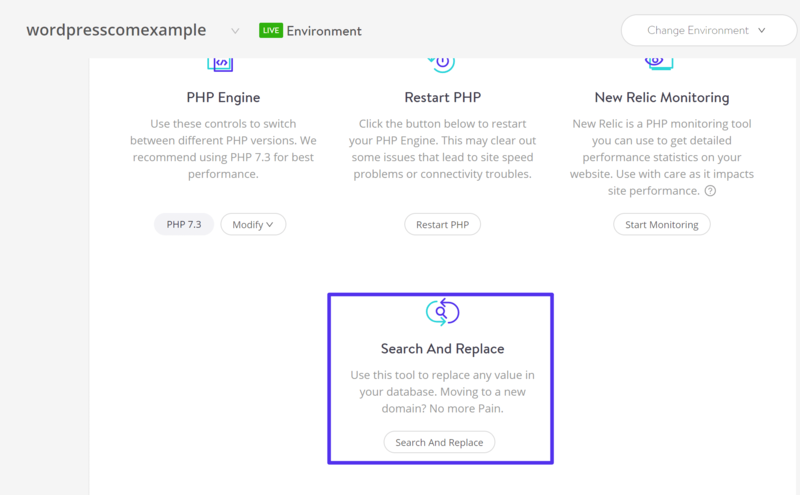 Once you’ve signed up for Kinsta hosting and have your domain set up, here’s how to migrate WordPress.com to WordPress.org. To get started, you’ll need to create a fresh WordPress.org install. You can view a more detailed tutorial here. Once you’ve created your new WordPress.org installation, you’ll want to do a little housekeeping before you import your WordPress.com content. Your WordPress site’s permalinks affect the structure of your site’s URLs. In order to ensure a seamless transition, you’ll want to make sure that your new self-hosted WordPress.org installation uses the same permalink structure as your WordPress.com website. By default, WordPress.com websites use the Day and name permalink structure. 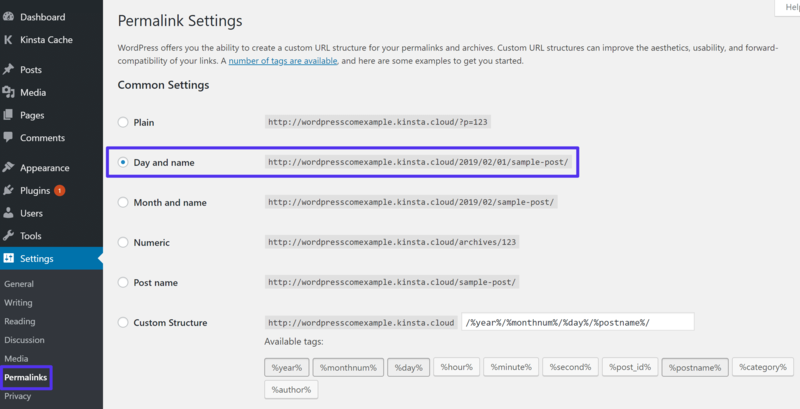 To mimic this permalink structure on your WordPress.org site, log in to your self-hosted WordPress dashboard and go to Settings ? Permalinks. If you want to change your permalink structure in the future, you can always set up a 301 redirect later on. 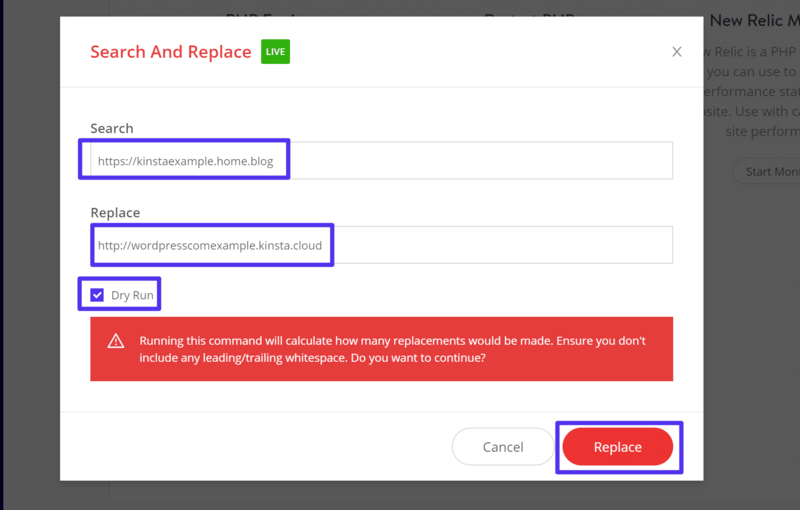 If needed, Kinsta support staff can help you set up a 301 redirect to safely change your permalink structure. 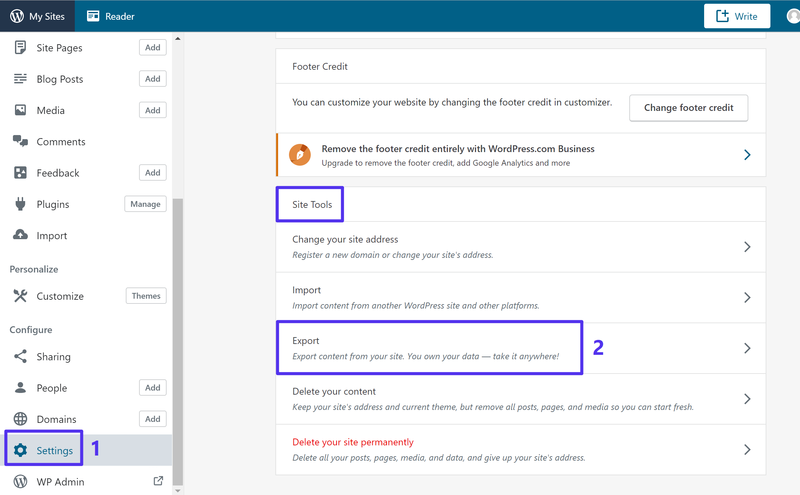 Unfortunately, there’s no way to export your WordPress.com theme straight to your WordPress.org site. 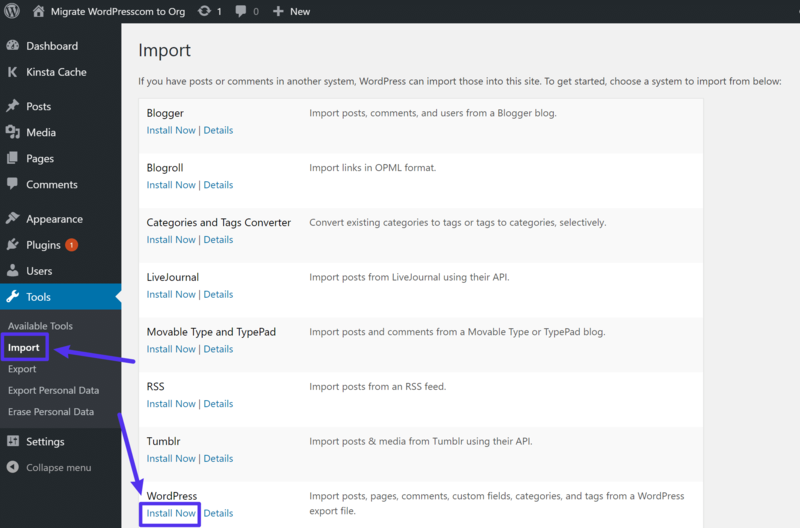 However, many (though not all) of the themes that you’ll find at WordPress.com are also available to self-hosted WordPress sites. For example, the AltoFocus theme is available at both WordPress.com and WordPress.org. 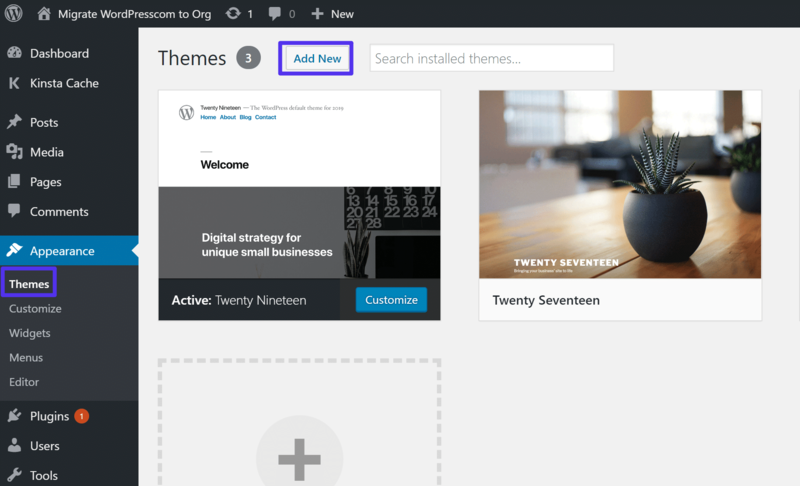 That means that, if your WordPress.com theme is also available at the WordPress.org theme directory, you can simply install a fresh copy of the theme on your new WordPress.org site. 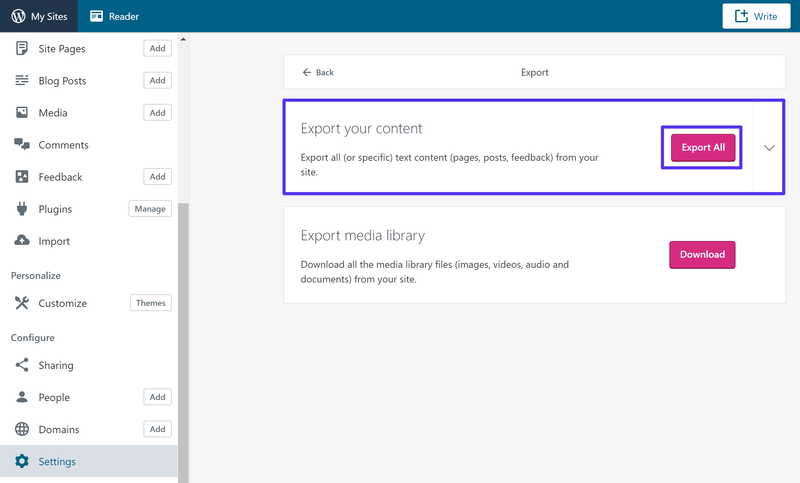 Next, you need to export your WordPress.com site’s content. 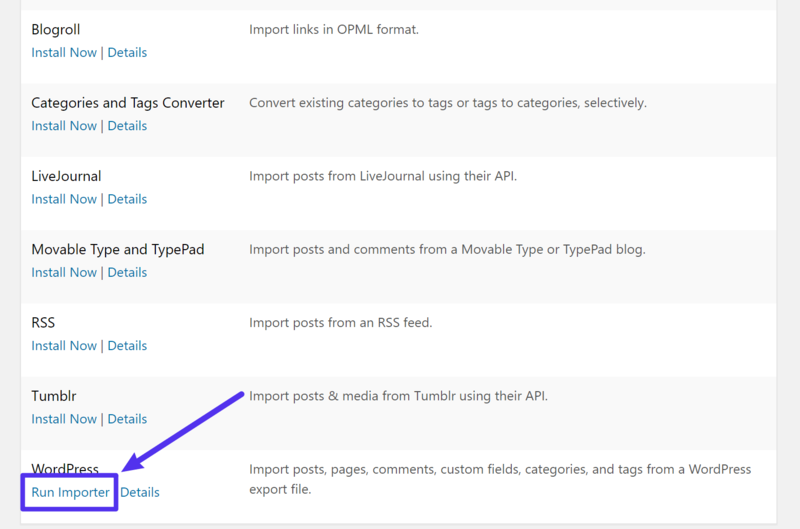 Then, in the next step, you’ll import that content into your new WordPress.org site at Kinsta. Once you’ve extracted the ZIP file’s contents, you should be able to open a folder that contains an .xml file. Keep this file handy because you’ll need it in the next step. 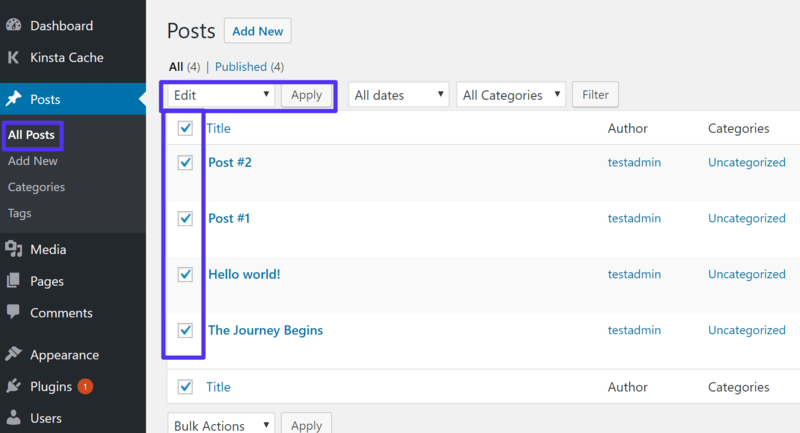 Next, go to the WordPress admin dashboard for the WordPress.org site you created in Step 1. Once you’ve selected the .xml file, click Upload file and import. 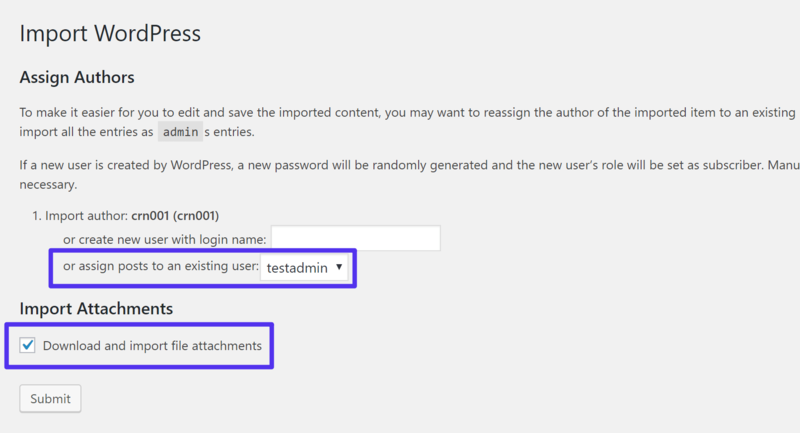 For the Assign Authors section, we recommend choosing the option to assign posts to an existing user and selecting your username from the drop-down. 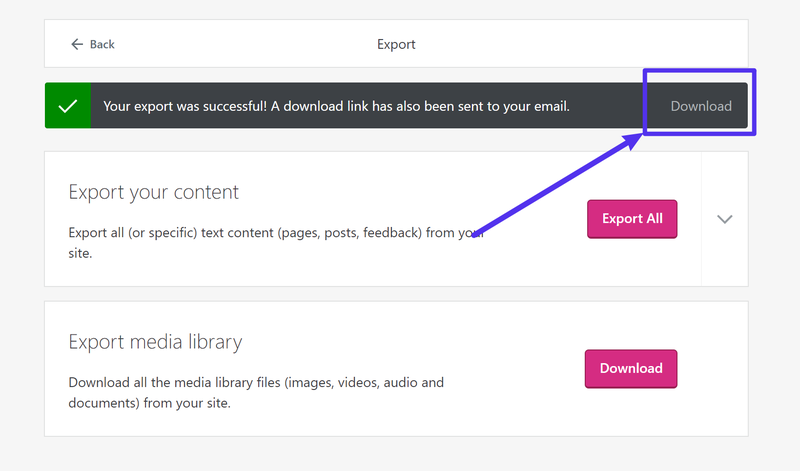 Then, check the box to Download and import file attachments. This will ensure that your WordPress.org site imports all of the images from your WordPress.com site. Now, go to your site and poke around. If all went well, your content should look and function just like it did at WordPress.com. If you changed URLs as part of your migration (like moving from yoursite.wordpress.com to yoursite.com), you might end up with “broken” URLs in your content. For example, if you wrote a blog post that included a link to a different blog post on your site, that link might still take people to yoursite.wordpress.com/example when really it should go to that same blog post on your WordPress.org site – yoursite.com/example. If everything went well, you should see all of your images right away. However…sometimes things go wrong, and it’s possible that you might be missing some images. If that’s the case, you can use the free Auto Upload Images plugin to import the missing images for you. At this point, you should have a working self-hosted WordPress.org website with all your content from WordPress.com. However, there’s still one important issue – what happens to your WordPress.com website now that you’ve moved everything over? There are two potential scenarios here, depending on the URL of your WordPress.com website. If you were using a custom URL at WordPress.com (yoursite.com) and you’re using the same custom URL for your WordPress.org site (yoursite.com), all you need to do is make your old WordPress.com website private. If you changed your site’s URL as part of migrating from WordPress.com to WordPress.org (e.g. yoursite.wordpress.com to yoursite.com), then things are a little trickier. See, there will technically be two duplicate versions of your site – one at yoursite.wordpress.com and another at yoursite.com. Google might see duplicate content and won’t know which website to rank in Google searches. To fix this issue, you can set up redirect. With a redirect, anyone who tries to visit yoursite.wordpress.com will be taken straight to yoursite.com instead. WordPress.com lets you do this, but they will charge you $13 per year for the privilege to do so. While paying money is never fun, this small fee is worth it if you have an existing audience and don’t want to lose them when you make the switch. Then, you’ll need to enter your payment information to finish the process. 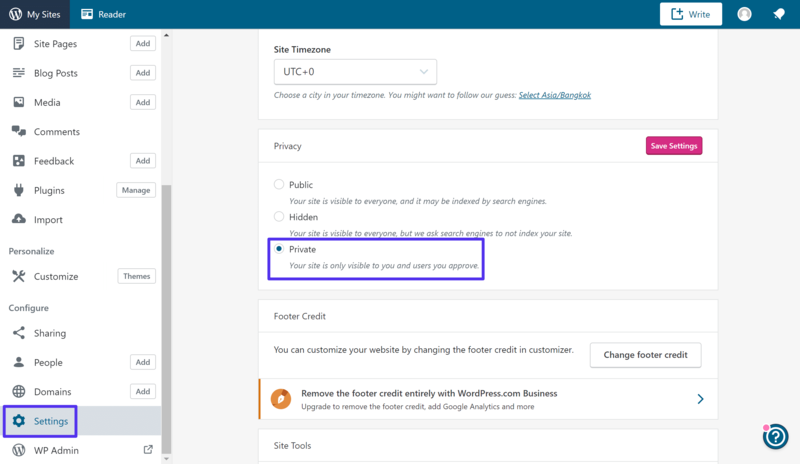 If you do not want to pay this $13 per year fee to WordPress.com, you can also just make your old site private by following the method in the previous section. However, you will lose all of the traffic and links that go to your old WordPress.com site, which is not ideal. At this point, you’re pretty much done! If you want to get access to some WordPress.com functionality – like your WordPress.com site’s Subscribers – you can use the free Jetpack plugin to connect your WordPress.org site to WordPress.com and get much of the same functionality that you had before. Jetpack is developed by Automattic – the same company behind WordPress.com – so it’s able to seamlessly add many WordPress.com features to your new WordPress.org website. Moving from WordPress.com to WordPress.org can be an exciting time. It usually means you’re ready to take the next step and get full control over your website. The possibilities of what you can do are endless! If you have any trouble with migrating from WordPress.com to WordPress.org, you can always hire a WordPress developer. These types of projects are easy for seasoned developers and they can have your WordPress site up and running at Kinsta in no time. Have any other problems with our migration guide above? Let us know below in the comments.